The picture book I illustrated back in 2005, I’ll Follow the Moon, keeps getting new life. In addition to recently being published in kindle and other electronic editions, the author Stephanie Lisa Tara and the publisher have just assembled a short video for the award-winning book. Just check it out on youtube! I spent six months of my life painting turtles, sand, and water—it’s pretty gratifying to see how well this book has done over the years, and how well it keeps doing. By far it is the most critically-acclaimed picture book I’ve been associated with (which I think has much more to do with Stephanie’s charming words than my illustrations). 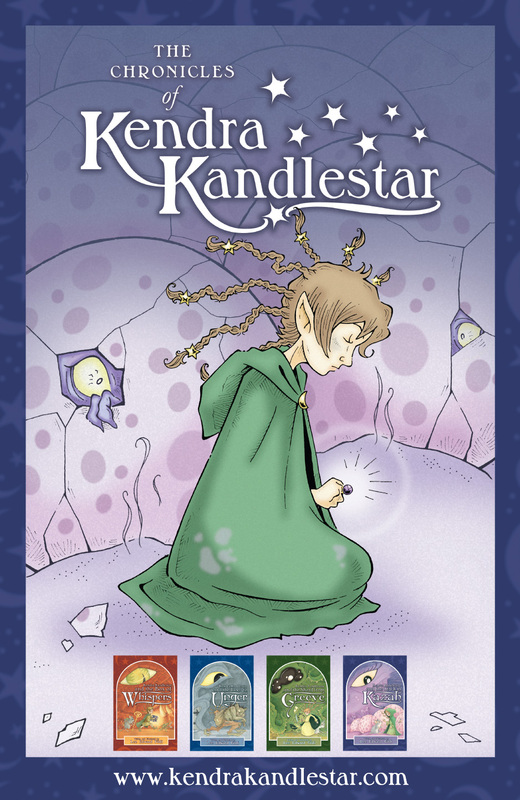 Speaking of videos, I’m still plugging away at a trailer for Kendra Kandlestar and the Crack in Kazah. Be patient! It will be finished one of these days! Just download it by visiting kendrakandlestar.com! More wallpaper featuring artwork from The Crack in Kazah will be coming soon. I was as happy as a kid in a ketchup factory to find in my mailbox yesterday The Best Books for Kids and Teens – 2011 magazine from the The Canadian Children’s Book Centre (CCBC). Why? No, none of my books were listed (Kendra Kandlestar and the Shard from Greeve made the 2010 list). The reason is that many of my colleagues and acquaintances are in the magazine. In particular I want to celebrate three of my friends who were all listed for their outstanding books. Rachelle Delaney was listed for The Lost Souls of Island X.
Vikki Van Sickle was listed for Words that Start with B.
I’ve worked with all three in some capacity, so I’m thrilled to see their work recognized. Make sure you check out their books! 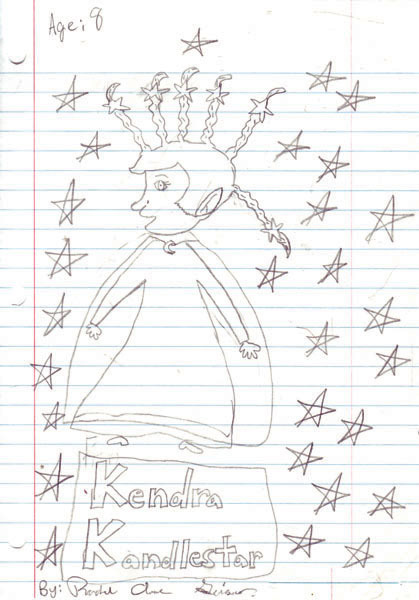 A new illustrator for Kendra? 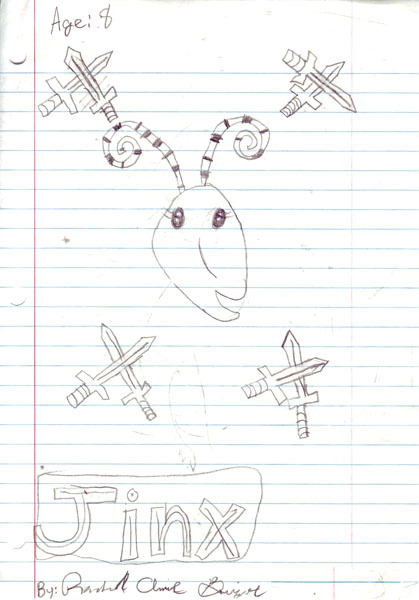 I recently had this fantastic artwork sent to me by a young eight-year-old fan, so I thought I would post it. 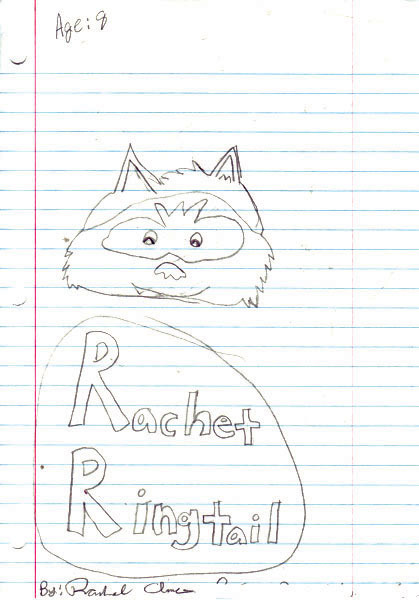 I always love to see how other artists reillustrate my characters! 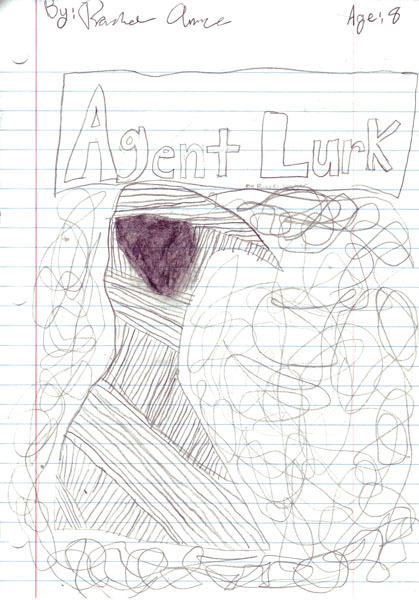 I love all of these drawings done by Rachel—but I think Agent Lurk is my favourite! 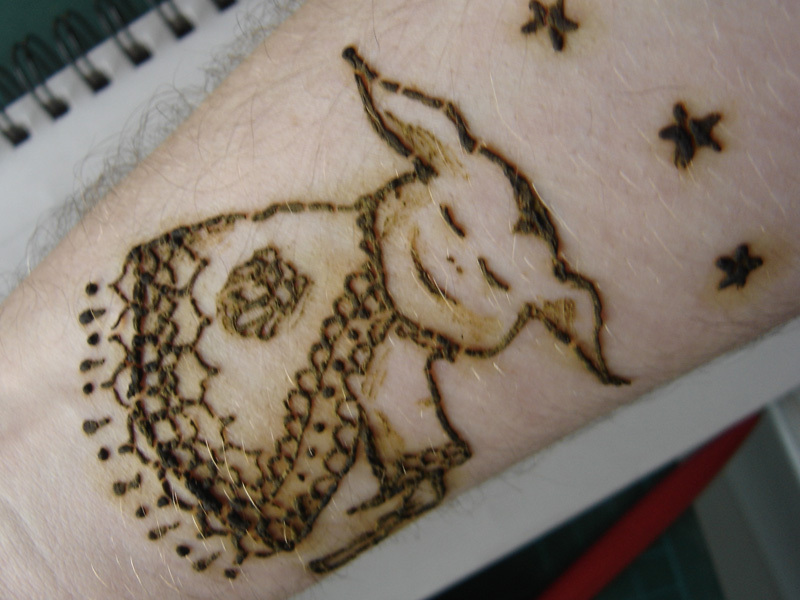 My biggest accomplishment this week was convincing the artist in the tattoo tent at the Vancouver Folk Festival to give me a henna Yoda. She didn’t really know who Yoda was (you can all hold your gasps) so I think she did an excellent job, considering she had to do it from my vague description. This is a photo of him with the henna still caked on. It’s actually peeled off now and I’m left with the sepia-coloured imprint of my favourite green yoda. By the way the artist is Nicole Pilich—you can check out her website at www.healingbodyart.com (but don’t inundate her with Yoda requests; she’s had her geek quotient for the week!). Henna is pretty easy to use and, of course, it’s not permanent. Last year at pirate camp, I gave all my students henna tattoos (though I’m not even remotely as gifted in tattoo art as Nicole). I’ve been trying to assemble a trailer for The Crack in Kazah, but it’s been agonizingly slow. This is for a lot of reasons. 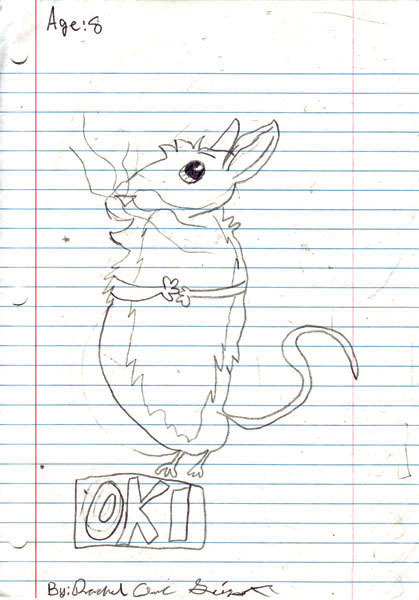 Firstly, I am NOT an animator. Secondly, I’ve been finishing up my programming for CWC. Thirdly, my manuscript for the book is not completed. Yes, I know I joyously announced that everything was done, but such is the life of writing. I decided to put it through the grill of two more reads and it’s come back with some changes—some of them very important. In any case, I can’t promise you when the trailer will be done. But, in the meantime, I posted a short snippet of a humble animated sequence on youtube. 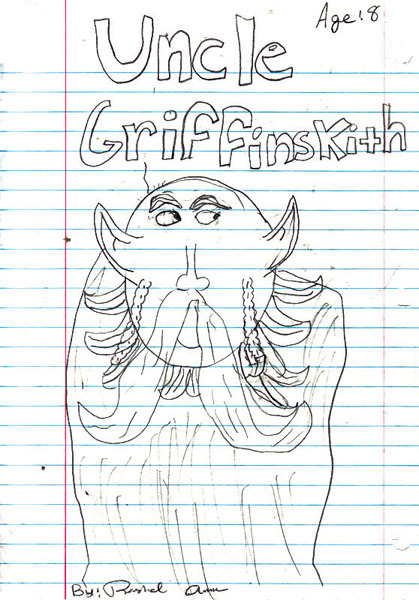 It features my new Teenling character. To view it, just click HERE. This clip, in all likelihood, will not be in the final trailer, as I decided to go in a different direction! Authors Like Us ~ back, we are! After a six-month hiatus, Authors Like Us is back! We should be doing some new interviews in the coming months, but in the meantime, here are some goodies that we’ve had waiting in the queue. Episode 22 features a chat with Canadian author Helaine Becker, who helped spearhead a book drive to bring attention to the closures of libraries in California. 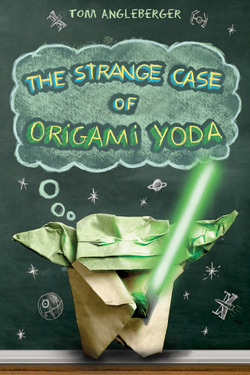 Episode 23 is a regular fan-boy-fest as we get our geek on with author Tom Angleberger, the author of The Strange Case of Origami Yoda. I take my Yoda pretty seriously, so it was quite a thrill to do this interview. I’ve taught this book to several classes—as a matter of fact, the last time was just a few weeks ago. 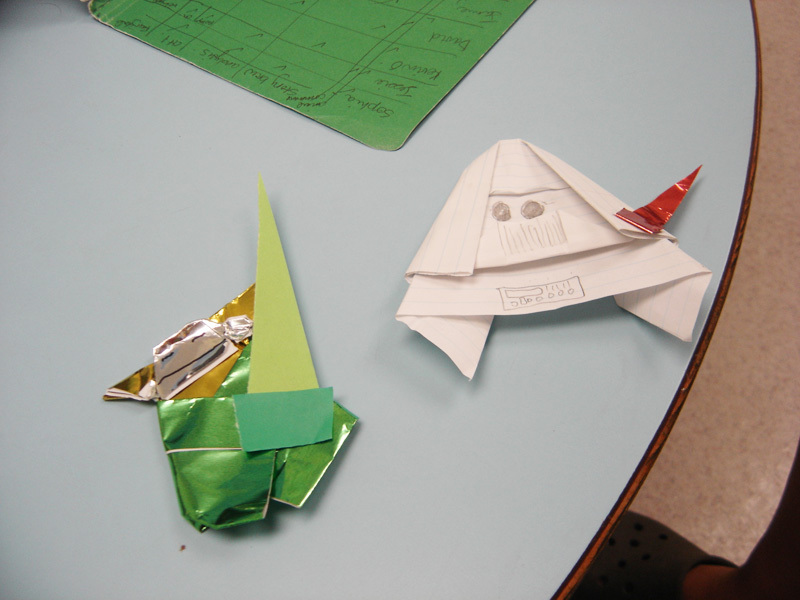 One of my students (Ryan) not only produced a fantastic origami Yoda, but a marvellous Darth Paper as well!